Package deal bathrooms have been in the business for generations. 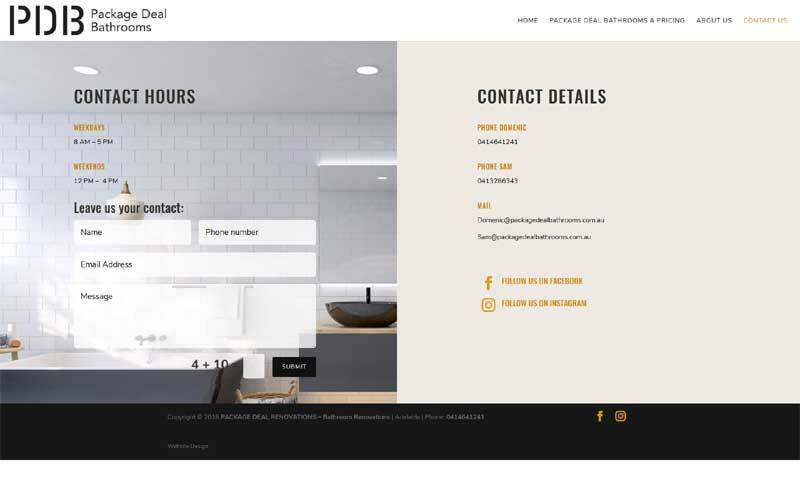 Domenic (the owner of the business) contacted Website Adelaide and needed help with a website that would feature their new service / product offering beautiful bathrooms and kitchens renovations and rebuilds. This website is built in WordPress and easy to update and maintain. The website works great with a responsive website design. 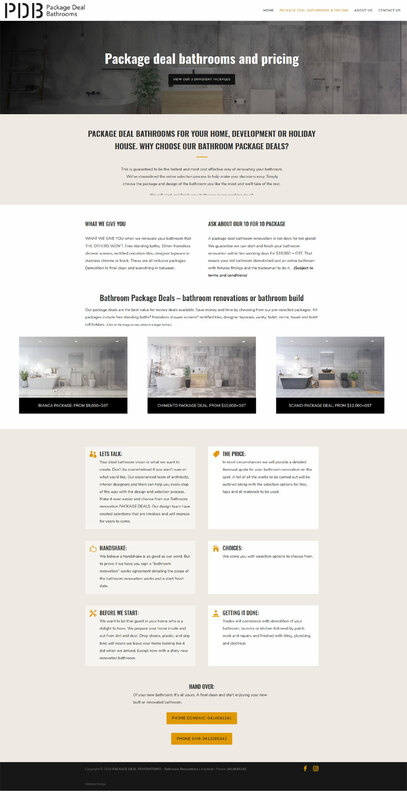 Package Deal Bathrooms had some beautiful pictures that completed the websites look and feel. With a new logo designed to their wishes from Adelaide Advertising, the business has a great and professional online presence. 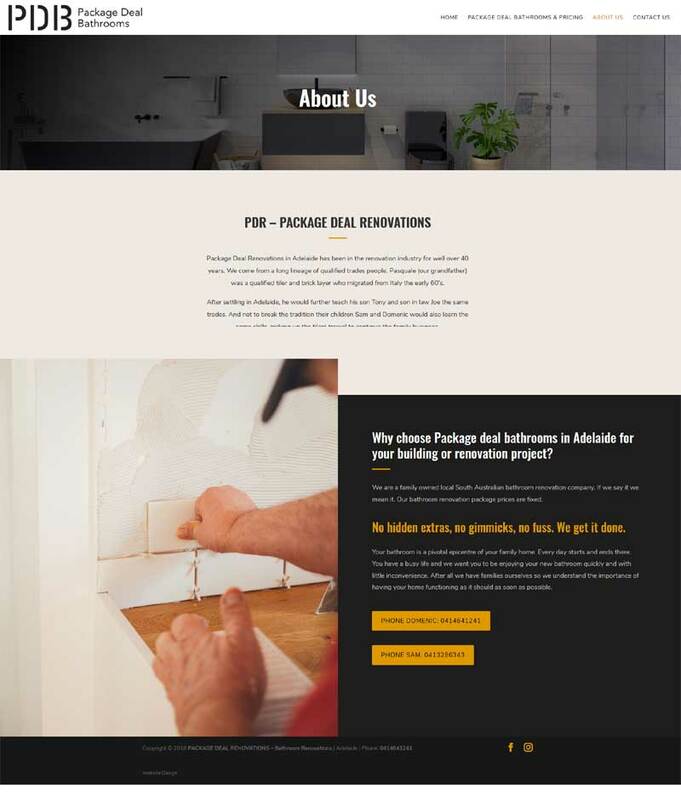 Great looking website for a great Adelaide local business!